If you are struggling to lose weight and have sought medications from your doctor in the past, you might have come across the drug Adipex. 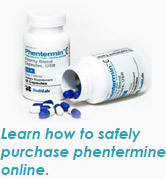 It is the trade name for medication that contains phentermine. Adipex must be taken only upon prescription and is helpful for weight loss among people who regularly exercise and follow a healthy diet plan. The drug causes stimulation in the hypothalamus and creates responses that are much like the ones triggered by adrenaline. The responses lower your appetite. On consumption of Adipex, most people are easily satiated by a small meal. 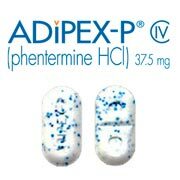 Phentermine hydrochloride makes Adipex an appetite suppressant. 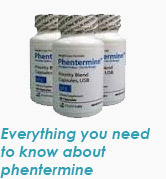 Phentermine has been approved as a hunger suppressant, and is a shorter version of phenyl-tertiary-butylamine, which stimulates the nervous system. 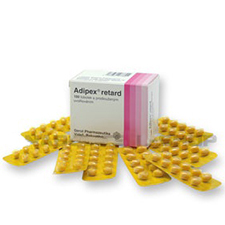 Adipex which is sold under the name of Adipex-P should not be taken if you have problems like high BP and heart problems such as irregular rhythm. You should also not take Adipex if you are a nursing mother or a pregnant woman. Adipex should not be taken along with other medications such as stimulants or blood thinners. Any over-the-counter medication that you have taken or want to take should be brought to the notice of your doctor before beginning with the dosage of Adipex. If you have any heart problems, high BP, kidney-related diseases or are allergic to aspirin, you should inform your doctor about it. 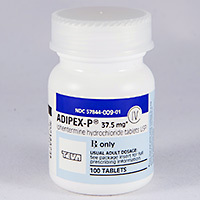 Adipex should be used only for short-term, the dosage lasting for about three-four weeks as it is not a long-term drug. Adipex is a habit-forming drug, so be careful about its usage. Don’t increase the dosage on your own if you think it is not working. Stop taking the medicine and consult your doctor immediately if you experience pain in the chest, notice any swelling of the legs and feet or have trouble breathing. These may seem like minor symptoms, but could bean indication or a heart or lung problem. This drug could also affect the sugar level in your blood, so consult your doctor if you are diabetic. It is important to keep in mind that Adipex is not a miracle drug; it is not a permit for you to gorge on junk food and then take a pill to lose weight. You should ensure that you make some lifestyle changes to bring in discipline in your routine. Always stay hydrated and follow good sleeping habits; all these factors contribute towards weight loss. 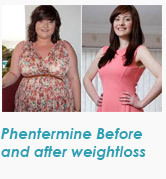 Adipex is the trade name for Phentermine, a stimulant that is quite similar in nature to an amphetamine. It belongs to the class of drugs that are usually referred to as sympathomimetic amines. It suppresses the appetite and affects a person’s central nervous system. 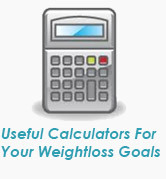 It is generally used in conjunction with an exercise, reduced calorie diet and behavior change program approved by your primary physician. 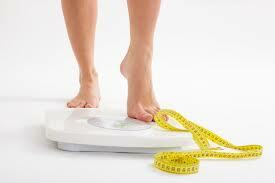 It is most commonly taken by obese people and people who have a weight-related medical condition. Losing weight can counteract the health risks that obese people are prone to, like diabetes, heart disease, high blood pressure and a much shorter life. 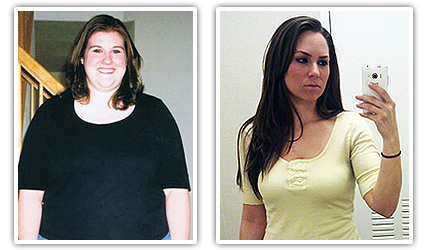 Adipex was one of the only two drugs approved by the FDA for weight loss before 1996, diethylpropion being the other. There are a number of drug therapies available for patients who suffer from obesity, but Adipex remains the most reliable method. Before it was approved, the drug was subject to intensive tests and reviewed by pharmacologists, statisticians, physicians, chemists and other scientists. Ever since the generic form of the medicine was approved by the FDA, the studies that have been performed with the drug have been concerned primarily with its interaction with other drugs, of which we will see more later. 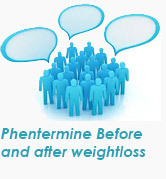 Phentermine is recommended for short term management of exogeneous obesity. Sine it is a sympathomimetic amine, the pharmacologic activity is similar to the other prototype drugs that belong to this class. Its actions include stimulation of the patient’s central nervous system and blood pressure elevation. Research has indicated tolerance and tachyphylaxis with all the drugs that belong to this class. The drug stimulates the hypothalamic release of norepinephrine, which is a neurotransmitter that is involved in stress responses like fight or flight reactions. It reduces the hunger sensation and causes the release of adrenaline or epinephrine outside the brain, which helps in the breakdown of stored fat, thereby combating obesity. The most commonly available form of this drug is an oral pill. Your doctor will generally advise you to take this drug 1 or 2 hours before breakfast. If needed, he/she might adjust the dose in such a way that you take it thrice a day. Carefully follow the instructions you are given. If you skip on the prescribed schedule and take it late at night, it might cause problems like trouble sleeping. You can also go for sustained release tablets. If you go for that option, you just have to take the tablet once a day, either before breakfast or at least 10 hours before you go to bed. Make sure that you swallow the tablet whole. You are not supposed to chew on sustained release capsules. Doing it can release all of the drug at the same time, thereby defeating the point, not to mention increase all the side effects. If you are going to take tablets that are meant to dissolve in your mouth, you need to take it once every morning, with or without breakfast. Make sure you dry your hands before you touch the tablet. Place the dose on your tongue and wait for it to dissolve. Do not take water with it. The dosage you are prescribed is based on the medical condition you are in and your response to therapy. Your physician will adjust the dose to suit your current state and metabolism. If you want to get the most out of the medication, you need to follow the regimen prescribed by your physician. To make it easier, take it every day at the same time. Generally, Adipex is taken only for a few weeks and you should never make the mistake of mixing it up with any other appetite suppressant. If you take it for long or mix it up with other drugs, then there is greater likelihood of adverse side effects. The medication might also cause withdrawal reactions, particularly if you use it in high doses or for a long time. If that’s the case, you might have withdrawal symptoms like severe tiredness and depression when you stop using it. To prevent such reactions, your physician will wean you off the dose in a gradual manner. Consult with the physician or pharmacist for any more details, and if you are going through withdrawal symptoms, report them right away. In certain rare cases, Adipex can lead to drug seeking behavior. You need to make sure that you do not increase your daily dose or use it for a longer time than it was originally prescribed for. Stop the medication when you are asked to. You need to bear in mind that the drug is meant as a short term treatment and might end up losing its effectiveness after you take it for a few weeks. Talk to your physician if this happens to you. Dry mouth, dizziness, irritability, difficulty sleeping, vomiting, nausea, constipation or diarrhea might occur. If these effects get worse with time or continue to be prominent, notify your physician and pharmacist promptly. The physician generally prescribes the medication under the assumption that the benefits outweigh the risks. Most of the people who use the medication do not have any serious side effects. The medication might raise your blood pressure. Use a blood pressure monitor to check your BP regularly and report it to your physician if it is higher than usual. Weakness on one side of your body. In some rare cases, the drug can also end up causing fatal heart or lung problems (problems with the heart valve, pulmonary hypertension). The risks increases the longer the mediation is used or if it is clubbed with other drugs that suppress the appetite. If you experience any chest pain, are unable to exercise, faint, have difficulty breathing or have swelling in your feet/ankles/legs, then you should stop taking the mediation and consult your physician or pharmacist immediately. Serious allergic reactions to the drug are quite rare. But if you do have any symptoms of an allergic reaction that results in swelling/itching, rash, severe dizziness or trouble breathing, have someone drive you over to the hospital immediately. Bear in mind that this is not a complete list of all the possible side effects. If you notice any other effect that is not listed above, get in touch with your physician or pharmacist immediately. Before you take the medication, you need to let your physician or pharmacist kno0w whether you are allergic to it or any other sympathomimetic amine (decongestants like pseudoephedrine, stimulants like amphetamines and other appetite suppressants like diethylpropion). The product might also contain some inactive ingredients that can cause allergic reactions to any other problems you have. If you have any doubts, please talk to the pharmacist for more details. Suffer from a well-known hypersensitivity or an unclassified reaction to other sympathomimetic amines. Have heart disease (for instance, advanced arteriosclerosis, uncontrolled hypertension, pulmonary hypertension, arrhythmias) or a cerebrovascular disease (like a stroke). Are pregnant, are breast feeding, or planning to get pregnant anywhere in the near future. 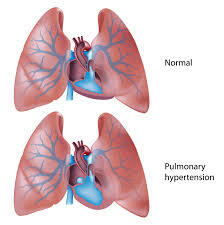 Are undergoing treatment with drugs that are designed to control the blood pressure. Have glaucoma, hyperthyroidism, prostatic hypertrophy, peptic ulcers or epilepsy. Are undergoing treatment with serotonergic medication, like SSRIs, SNRIs, tricyclic antidepressants, as there are increased chances of serotonin syndrome due to the cotreatment. Are undergoing treatment with medication that increases their blood pressure. Are taking some other form of amphetamine (racemic amphetamine, dextroamphetamine, Adderall, or lisdexamfetamine), dexfenfluramine, methamphetamine, furazolidone, fenfluramine, guanethidine, guanadrel or have taken an MAOI any time in the last two weeks. Mixing MAOIs with Adipex can cause serious drug interactions. Avoid taking any MAOI (linezolid, isocarboxazid, moclobemide, methylene blue, procarbazine, phenelzine, selegiline, rasagiline, tranylcypromine) with this drug. Patients should stop taking MAOIs at least two weeks before they start taking Adipex. Ask your physician when to stop taking the medication. Have been on any other appetite suppressing drug any time in the last year (ephedra, diethylpropion). Are on anti-seizure drugs like carbamazepine. Are on medication to manage their anxiety or sleep (diazepam, alprazolam, zolpidem). Are on muscle relaxants or narcotic pain relievers. Are on a drug that can increase the chances of seizure activity when mixed with this drug, like isoniazid, phenothiazines or theophylline. Medicines that can interact with Adipex are contraindicated as they pose the risk of serious side effects, like a steadily increasing headache, slow heart rate, high blood pressure, elevated body temperature and fatal lung problems. The effectiveness of guanethidine and guanadrel may go down if the patient starts to take Adipex. Antacids and carbonic anhydrase inhibitors (like dichlorphenamide, acetazolamide and methazolamide) also decrease the excretion of Adipex. Caffeine can also increase the possible side effects of this medication. Your physician or pharmacist might be aware of the possible drug interactions and might already be monitoring you for them. Do not ever make the mistake of starting, stopping or changing the course of medication before you check with them. There have not been enough clinical studies to show whether patients who are above 65 years of age respond any differently than younger patients. Since geriatric patients are sensitive to drugs that affect the central nervous system, the drug should be used with caution on older patients. If they have insufficient hepatic, renal or cardiac function, chances are that physicians would refrain from recommending the drug to them. 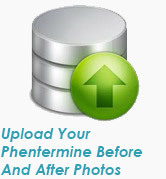 It is an amine transporter that terminates noradrenaline action because of its high affinity sodium dependent reuptake into the presynaptic terminals. It is also a serotonin transporter and is primarily involved in regulating seretonergic signaling through the transport of serotonin molecules from the cleft back in the synapse into the presynaptic terminal for reutilization. It also plays a key role in mediating the regulation of serotonin availability to other serotonergic systems receptors. It terminates serotonin action and recycles it. It is an amine transporter that terminated dopamine action through high affinity sodium dependent reuptake into the presynaptic terminals. If you have accidentally had an overdose or suspect someone else has, call an emergency room or poison control center immediately. The most common symptoms of overdose include unusual restlessness, raid breathing, irregular/slow/fast heartbeat, hallucinations, chest pain, seizures and loss of consciousness. Appetite suppressants should never be used in place of a proper diet. 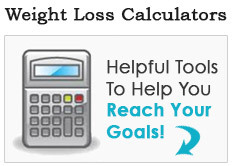 To get the best results, uses it in conjunction with a doctor approved diet and exercise program. Never share the medication with someone else as it is against the law. You physician might recommend laboratory tests (heart tests, kidney tests, blood pressure) to monitor your progress periodically and check for any side effects. Consult with the physician if you want more results. If you have missed a dose, make sure that you take it as soon as you remember. If it is late in the evening or if it is time for your next dose, skip the substitute dose and resume your normal schedule. Never double the dose just to catch up. Store the drug in an airtight container at normal room temperature. Make sure it remains well hidden from moisture and light. Make sure that you keep it away from the reach of children and pets. Never flush the medication down the toilet or throw them into the drain unless you have been instructed to do so. If the drug is released into water, the drug will not adsorb to the suspended solids and sediment. Discard the product properly once it is past the expiry date. Consult the local waste disposal company or your pharmacist if you want more details on how to discard the product safely.